At my son's Birthday Party this last month we decided to make Mini Pinata's with his friends. It was such a fun thing to do I thought I would like to share it with all of you. 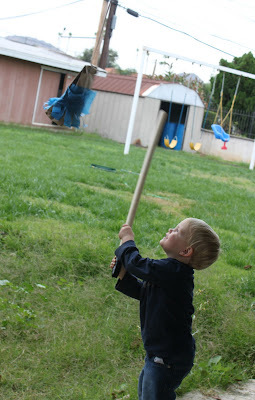 They are easy, fun, and what kid does not like a pinata? First, you need your supplies. 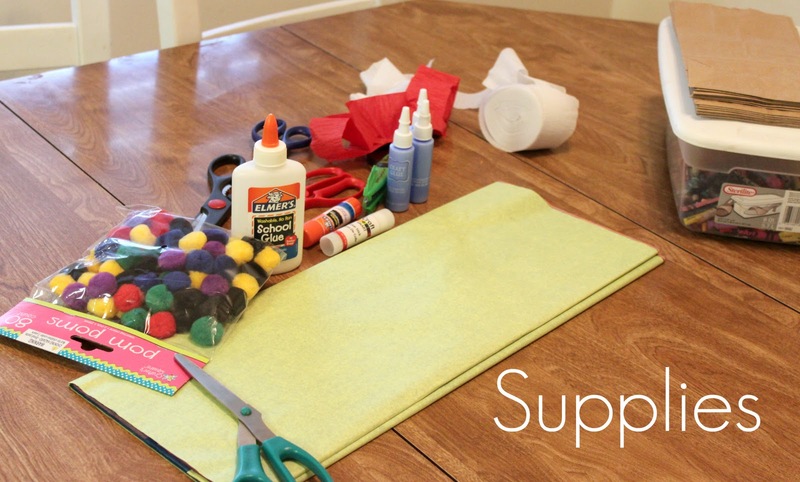 You will need two paper lunch sacks per child, some tissue paper, pompoms, crayons, construction paper, scissors and glue. (Or anything else you would like to use.) I cut the tissue paper into strips to make it easier for them. 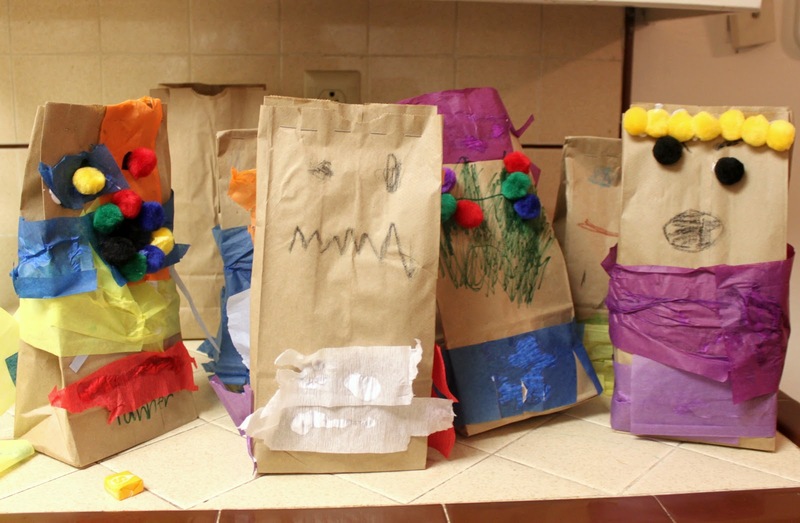 When they are all done you stuff the inside of their sacks with some tissue paper and a handful or two of candy. Then staple them shut on top. We got some creative and fun pinatas! 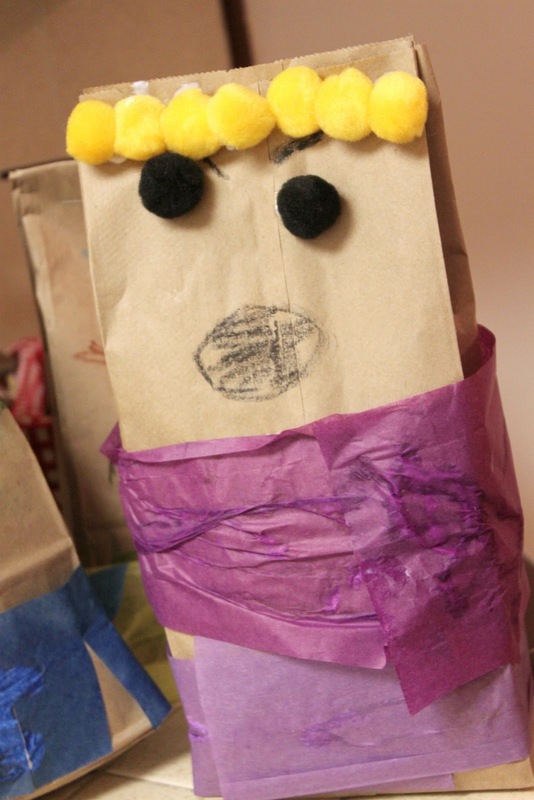 I think most of the kids at our party made them into monsters. After they dry you punch a hole in the top, attach some rope and take them outside to knock apart. I was surprised how sturdy they were. It took a little while to break some holes. 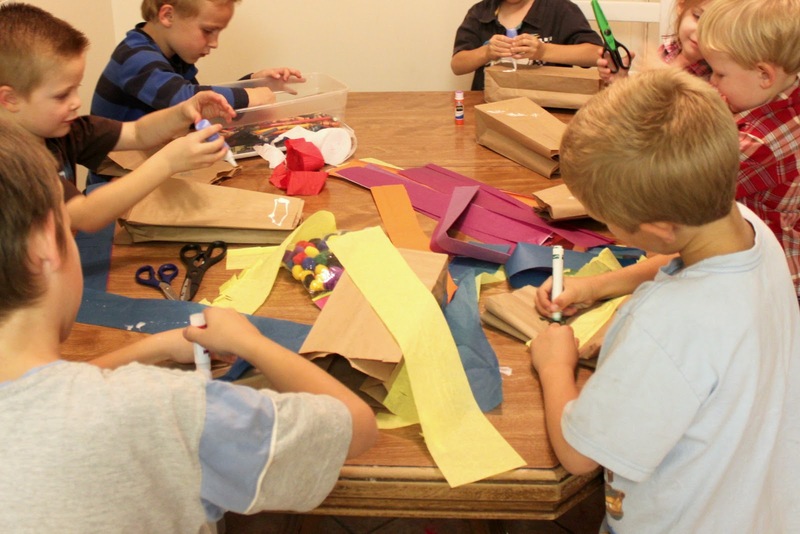 I hope you have fun making some mini pinatas with your kids also! So I have been missing out on your blog! AKA I haven't stopped by as often as I should. I started looking, and I pinned EVERYTHING! I love this pinata idea! 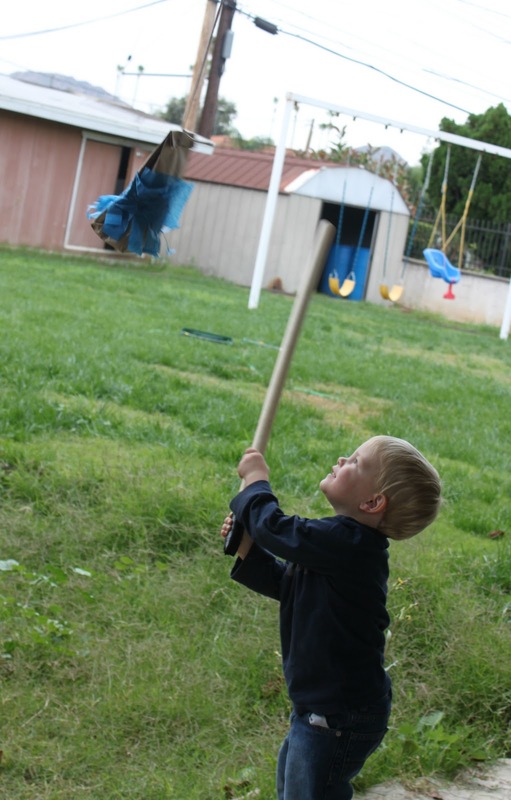 I wanted to break pinatas for Christmas around the world, but it was too expensive, so this is the perfect solution. And I love how the kids make their own...am I gushing?? Well as they say in french, Happy continuation! I love everything! These are too awesome! Such a great idea for the kids. Happy Birthday to your boy! This is a really great idea. Love that it's a craft AND a game AND a treat... awesome!